You’re probably so used to sync being broken that the first time you see Link, you might not believe what’s happening. Link began its life as a research project and has turned into a full-fledged product from Ableton. But unlike Push or Live, Link itself isn’t something you buy. Instead, it’ll be built into software you use, and unlock seemingly magical wireless (or wired) sync. The upshot: the electronic jam session is about to get a whole lot easier. And with a beta out today, that’s not some unknown future. It’s right now. Now, what isn’t in this video is about as important as what is. There aren’t any wires. And there isn’t even a copy of Ableton Live running. 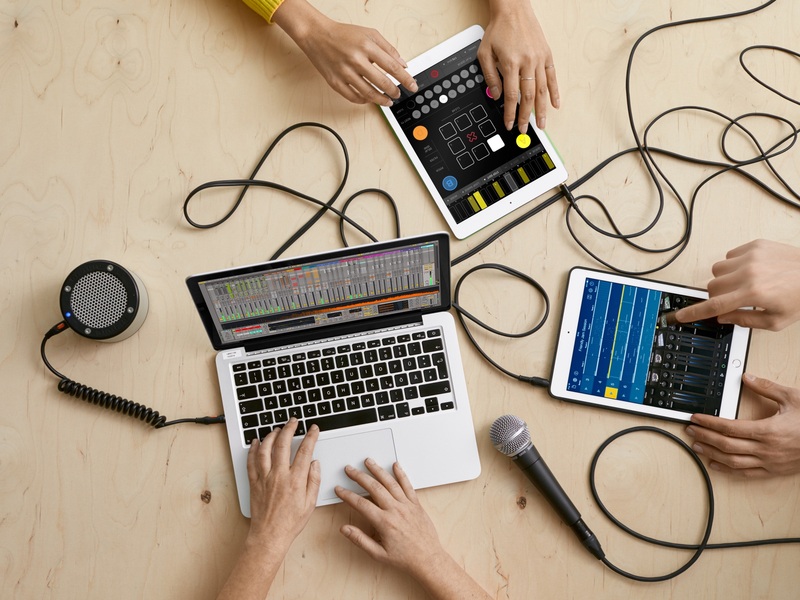 This is a peer-to-peer jam session between three gadgets over a wireless network. Also, any one of the devices can speed up or slow down. There’s not a “master” or “slave” (erm, “host” and “client” to sound less creepy). Everything is effectively democratic. That makes a big difference, because it works nicely in a jam session. Musicians can join in or drop out at will. Anyone can change the tempo. Now, you probably don’t want to get too democratic about tempo changes, but that means you can easily hand off roles. And wifi sync is important, too, because it means you don’t have to get tangled in wires just to get going. The use cases are pretty broad. Two producers working together can bring their own laptops running Ableton Live to a studio session or sync up onstage. Running an iPhone along an iPad, or an iPad along a computer, becomes more useful even with just one person. And forming impromptu electronic bands is at last something anyone can do, not just the occasional specialized laptop orchestra. I can tell you it all works really, really well. We’ll have more to say about this. There’s still a place for wired MIDI (or analog sync, for that matter), because so much gear requires it. But even in those situations, Link can help, by making the software bits work together (and then driving hardware off a computer or iOS device as the clock). KORG even has an app that can sync to hardware like their volcas (SyncControl). CDM: What information is exchanged in Link? Ableton: Link currently provides tempo sync and a grid to which apps can align. There are no Song Position or Start/Stop messages sent via Link. Ed. : This is actually an interesting point. Think of it as synchronizing to a pulse rather than to a place in the song. So, in Ableton’s Session View, that’s easy to understand – you sync to the current quantize level of a bar or beat, etc. What does it mean when you say all users are equal? What happens if people pull in different directions? What if someone stops the transport? a) There will be a “tempo fight” and the winner will be the app that last changes the tempo. b) Anyone can start and stop their part while the others keep playing. What will developers get with the iOS SDK? They’re free to then use that in their apps? a) Developers will receive the iOS SDK that comes with a pre-built library compatible with iOS8 and above and a simple example app for demonstration and testing purposes. b) Developers who receive the SDK may integrate it into their apps free of charge. What form does the SDK take? Will we see desktop versions? Is it possible for someone to create a port for a platform themselves – like Android or mobile Windows devices, for instance? 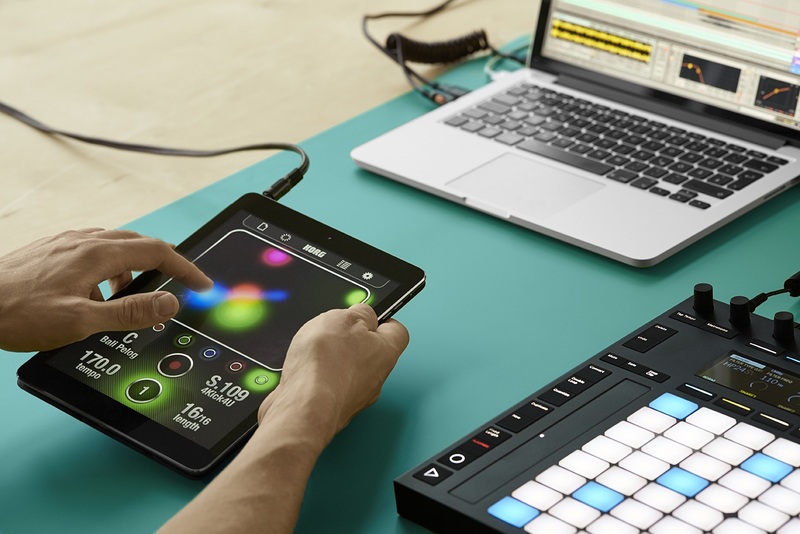 Initially and apart from Ableton Live, Link will be only available for iOS apps. Ed. : Now, obviously, I think a lot of us hope that will grow. Android isn’t exactly exploding as a platform yet, but would still be welcome – and other desktop apps would be really valuable. I’d love to use Link to sync Ableton Live and Traktor or Serato, for instance, and I’m sure so would a lot of you. But this starting point should still keep us busy – and you can always then send clock to one of those other apps. What’s necessary to license the Link name? We license the name along with the SDK. Developers can use the Link name according to our brand guidelines, which we provide with he Link SDK. When can we expect the SDK and beta – and they’ll be in that order? A Live Beta version with Link is now available for everyone who wants to become a Live Beta tester. What happens as wifi networks get crowded or signal gets weak? If the network gets too crowded, apps can lose connection. However, it takes an extreme amount of Link users to cause this to happen. Ed. : Link can also use an Ethernet connection if you have one.